For different camera manufacturers, there are different “gurus” who have emerged over the years, or often decades. 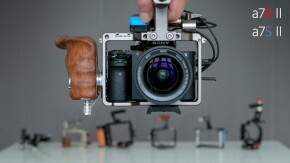 Those are users who dived deep into the technology of cameras early on, and have loyally stuck with one manufacturers over all those years, and thereby becoming the go-to-guys for that brand. 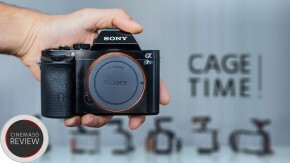 For example, you might know Alister Chapman (and his amazing blog XDCAM-User), who’s name is directly linked to Sony camera technology – he’s the one who always knows first and best about everything Sony. Alister’s equivalent on the Panasonic side of things is Barry Green, the man who gained prominence through Jarred Land’s DVXUSER.com, an amazing forum site that emerged when the original Panasonic DVX100 was released in the early 2000’s. The DVX100A was my personal first “professional” camera, spending a good chunk of my student savings at the time on that MiniDV camcorder (which was one of the first ones to be able to record progressive frames – in SD, of course). Barry became the go-to-guy for anyone who was using this camera, which became a smash hit – all the DVX100 users were on there, sharing tips and tricks. As the world moved into DSLR filmmaking and later other higher-end professional affordable video cameras, forums like DVXUSER have managed to stay relevant to a degree as one of the most civilized and useful forums in our industry. 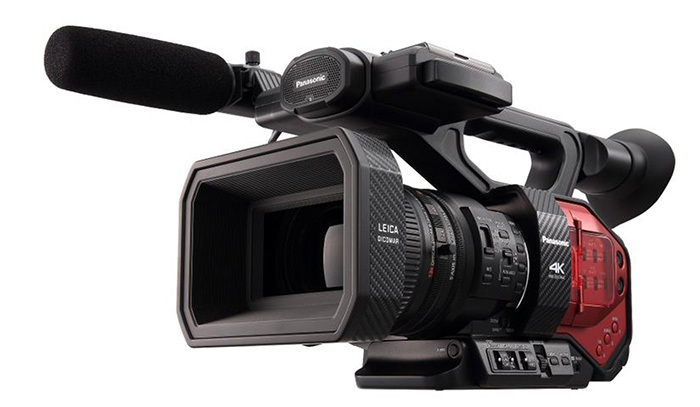 To make a long story short – when Panasonic release the “rebirth” of the legendary DVX100 in form of the DVX200 (a 4K solid-state camcorder with a fixed lens) earlier this year (here’s our news post), it was clear that it’s only a matter of time before Barry releases his thoughts and tips for the usage of this newly developed and quite feature-packed camera to the world. 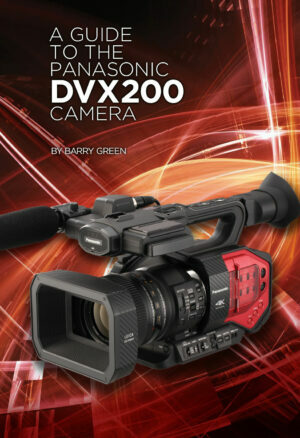 And now, excitingly, Panasonic released a 279-page Panasonic DVX200 book by Barry Green, available as a free download from the Panasonic website (click here). Whether you’re in the market for this camera or own it already, it’s certainly the best and most comprehensive resource for this still very new camera. NEWARK, NJ (December 10, 2015) – Panasonic has announced the immediate availability of Barry Green’s A Guide to the Panasonic AG-DVX200 Camera, a comprehensive reference e-book for customers and users of the new AG-DVX200PJ 4K large-sensor, 4/3” handheld camcorder. The book can be downloaded free at http://info.panasonic.com/dvx200-ebook.html. 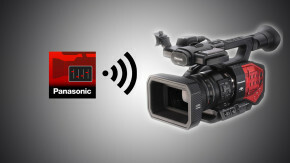 A Guide to the Panasonic AG-DVX200 Camera is an interactive digital book examining all the DVX200PJ’s features, settings and modes, as well as tutorials on some of the most common situations users will face. The book demystifies the functionality of all the DVX200PJ’s features, and explains when and why to use specific settings for best results. An extensive section of tutorials and essays covers a range of subjects from the simple to the advanced, including explanations on the benefits of 4K, working with the camcorder’s variable frame rates, using its VLOG-L mode, and how to use the waveform monitor and vectorscope. The full-color, 260+-page book has an abundance of photos, screen-shots and video examples of menu functions. Barry Green is an Emmy®-award-winning producer with four Emmy nominations for writing and producing television commercials and public service announcements. His technical background includes 13 years as a professional computer programmer and producer for Westwood Studios, creating some of the most popular video games in history. Green writes and produces award-winning corporate and industrial films, commercials, screenplays and films for Fiercely Independent Films Inc. and tours extensively as a public speaker and instructor. 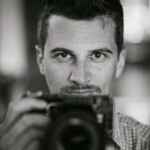 He also serves as partner and moderator for www.DVXUser.com, one of the world’s largest online communities for filmmakers, shooters, and content producers of all types.